All services are available to Earmark clients at the state-of-the-art clinic located within Aberdeen Audiology in Wayne, PA as well as at the convenient location of your choosing on a mobile basis. You're busy, let us come to you. For on-site mobile services, please contact us to discuss further details and services available at your location. The first step of any Hearing Conservation efforts is a consultation. Without a thorough personal history and understanding of your individual listening situation, any recommendations provided would be strictly of the ‘cookie-cutter’ variety. Your situation and needs are unique and require tailor-made solutions to be truly effective. In-Ear Monitors (IEMs) are the professional solution to on-stage monitoring. Available in custom or generic fit models, IEMs are specialized earphones that are designed to provide uncompromising sound quality and durability to survive years of heavy use. 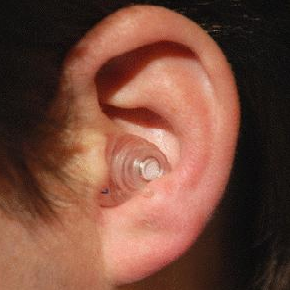 Musicians Earplugs are the go-to solution for hearing protection when the sound source is music. Musicians Earplugs are custom earplugs made out of a soft silicone material with a specially designed filter that reduces the sound levels entering the ear without unwanted coloration of the timbre. 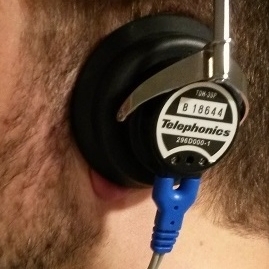 Hearing testing services, including ultra-high frequency and tinnitus assessments. Knowing how your hearing is today is the best way to take control over your hearing for years to come. Diagnostic Audiologic testing can be performed at Aberdeen Audiology's the state-of-the-art clinical facility. On-site screening is available through our mobile service at most residential or commercial locations, pending assessment of the ambient noise levels. Tinnitus is a phantom sound perceived in your ears and is often the result of exposure to loud sound over long periods of time. Tinnitus assessment begins with a thorough understanding of your personal tinnitus history and perception. During a consultation, options for treatment will be discussed. Contact Earmark Hearing Conservation to set up an appointment with Dr. Wartinger and discuss your options.